Nike has revolutionized athletic footwear and sportswear. Nike's vast range of products includes specialized training gear, footwear, apparel, accessories, and sports equipment. Through innovative products, advertising, and sponsorship of teams and athletes, Nike has become a leader in the sportswear industry and one of the world's largest brands. Nike Vision eyewear brings the same inspiration and innovation to athletes with product that helps them See Sport Better â„¢. Product is developed for each category of sport within Nike, which are sport inspired and for the athlete in everyone, from lifestyle sunglasses to ophthalmic frames. Nike is the worlds largest athletic company. The Nike eyewear collection contains eyewear for the elite athlete to the sport inspired individual. True to its mission, the Nike eyewear collection incorporates true innovation. 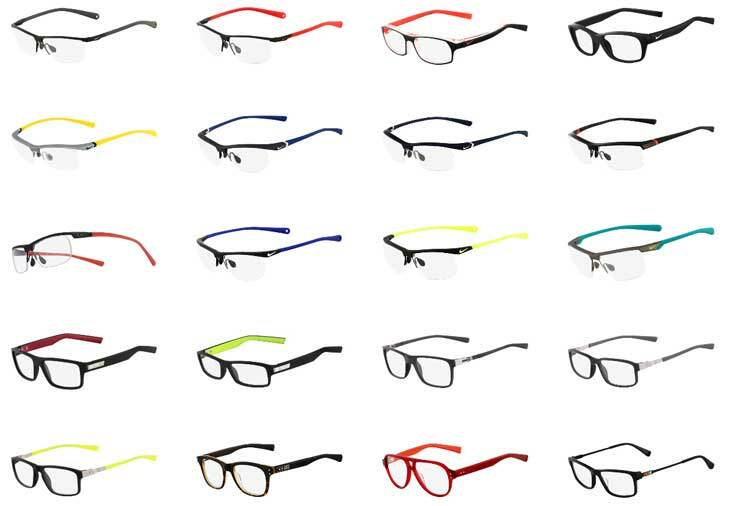 Nike eyewear offers something for everyone. 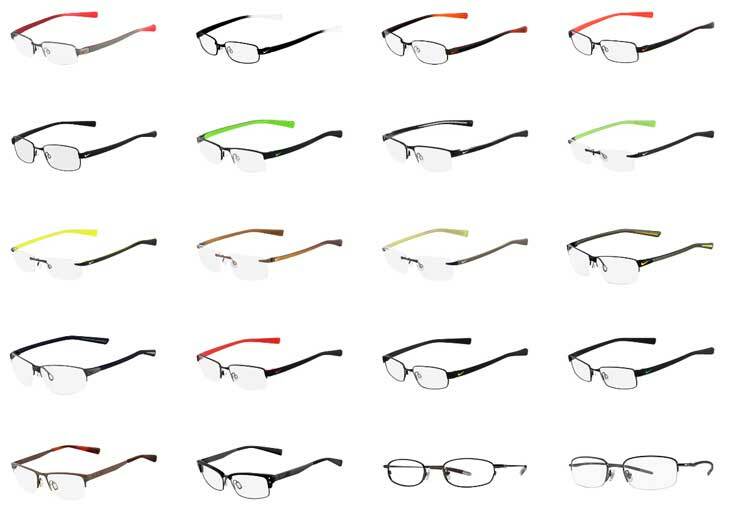 Nike's patented Max Optics and Engineered Tints, ventilation, secure wrap temples and Flexon's memory metal balances the mix of materials and design of its ophthalmic collection. The athlete and sport inspiration is at the heart of style. In sport, your focus must stay on the field. There's no time to worry about your glasses. That's why select Nike sun and ophthalmic frames incorporate Flexon, a highly flexible and durable patented metal alloy that moves with you. Unlike conventional metal frames, Flexon frames are nearly impossible to bend or twist out of shape because their "memory metal" content allows them to return to their original form every time. 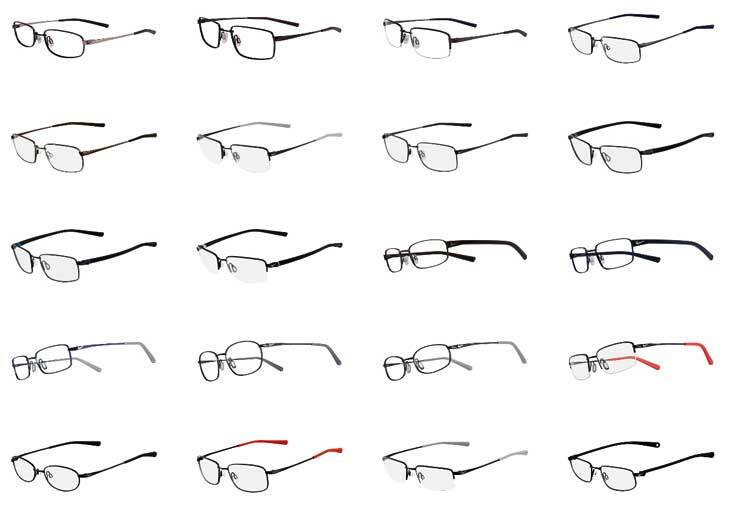 Flexon is 25% lighter than standard metals, so frames are more comfortable. 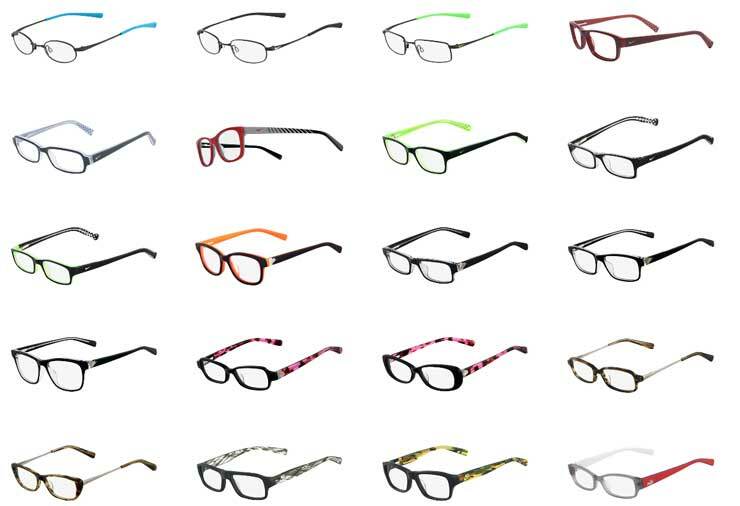 Highly resistant to metal fatigue, Flexon frames easily withstand the rigors of sport without kinking or breaking. With the same corrosion-resistant quantities as pure titanium, colors and finishes retain their original look longer.